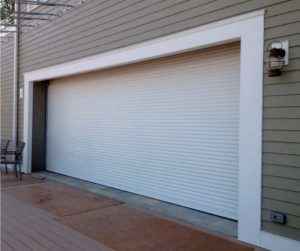 CITY- oors are designed RCL solid roll up d for doors up to 20 feet. 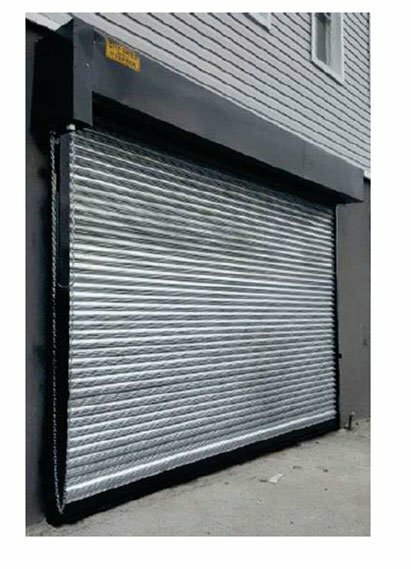 The doors can be manually operated by hand, hoisted up manually by chain hoist or motorized with choice of control station. The RCL is basically a new roll up door. The curtain is CITY- only part of the door that is not new. 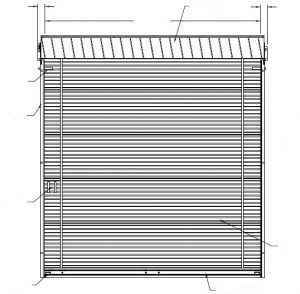 The slats are fully interlocked and provide the same security as a new roll up door curtain. 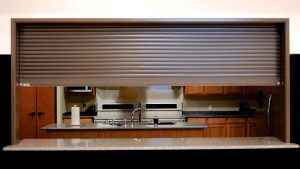 Overtime the galvanized finish on a new curtain will fade and eventually look like a CITY-RCL door. The RCL d : CITY- oors are ideal for Tenants who plan to occupy a new space for a short period of time. Buildings that are located in low income part of the town and are not required to meet any special building codes. New business ventures that have limited funds but require their location to be secure. 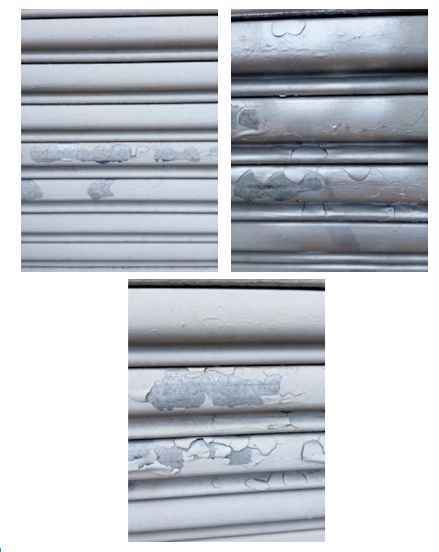 Curtain galvanized steel constructed from recycle parts that may be painted, chipped, small dents, water stained, peeling paint, discolored, 3” or 6” profile. Bottom bar shall be constructed from two 2x2x1/8 steel angles mechanically joined together. 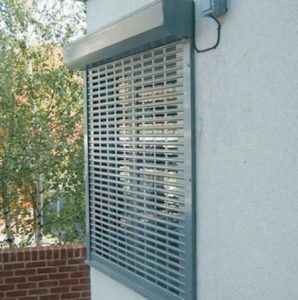 Guides shall consist of 3″ wide steel bolted together with 3/8″ fasteners spaced 36″ on center to form a channel for the curtain to travel, bolted to 2×2 pre-punched mounting angles. Brackets shall be constructed from 3/16 steel bolted to the wall angle. Counter balanced spring system designed for a life of 50,000 cycles. Hood shall be fabricated from 24 gauge galvanized steel and shall be formed to fit the bracket. Standard hasp/pin locking device. Finish shop coat gray, black or brown on guides, brackets and hood. Manual with lift handle, chain hoist with lock box, removable hand crank or motorized.